I recently purchased the Jobeky Prestige Custom Black Chrome Snare. To begin with, the drum is absolutely beautiful with excellent playability. 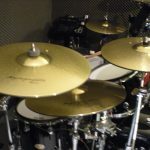 I've owned numerous electronic drum kits, Yamaha Extreme and Express, a 6 pc. Hart Dynamics kit, Roland TD11. What I'm using now is Roland pads mounted inside Yamaha acoustic shells run thru a Roland TD10 mod with Zildjian L80 Low Volume Cymbals. I'm changing out the pads for Jobeky triggers for more realistic playing feel. I have the Jobeky 22" bass trigger and Jobeky 22" 3 ply head on order and will soon order 4 tom triggers for the rest of my kit. I can't say enough good things about Jobeky drums and triggers. If you want the best edrums on the market today, go JOBEKY!! You fix also the Cymbals border(Edge) zones ….so i see that in YouTube but yet all perfekt!! Realy good idea you make rubberband around... relay cool look and play...thank you so much and its not the last order i give to Jobeky. Reliable, great feel and most of all, fun to play! I purchased a Jobeky kit over a year ago now and honestly it has to be one of the best investments I've ever made, not only as a professional drum tutor teaching over 45 regular private students per week, but also as someone who just enjoys playing the drums. The kit I purchased costs around the price of a mid tier Roland kit (which is half the size). It is a full size kit which means that there is a wider range in skin tension resulting in a closer feel to that of an acoustic kit. They have perfect and dynamic triggering same as the Roland kits and they also come in custom sizes and finishes which is always a plus as it matches my company branding. It sounds amazing with a TD25 module and I get lots of compliments from my students on the way the kit sounds. The best advantage over the acoustic kits is the volume control, you don't have to move to the welsh countryside to avoid annoying anyone. Some people say that electric kits will never replace acoustic kits, but as a practice tool this is as close as you're going to get. Having used the Jobeky kit for a while now, I honestly feel that I couldn't do my job properly without it! Lastly it's just so much fun to play - I regularly practice after teaching and due to the feel, robustness and sound I am always excited to just relax and play even after a busy 7-8 hour day of teaching. The only downside is that I didn't have the kit 15 years ago. Everything on the Jobeky Prestige kit works to the point of allowing you to forget about the kit (in the best possible sense, of course). The triggering is spot-on, there's no crosstalk, the response of the heads is great, sensitivity is excellent right to the edge of the heads - and the bare fact that you're sat behind a kit of familiar dimensions means that a real acoustic drum feel is more apparent than ever. The Jobeky Pro kit looks and acts very much like an acoustic kit and is absolutely convincing; I enjoyed playing this kit enormously, particularly as the Truetime hi-hat controller is supremely sensitive and responsive, as is the feel of the Playright bass drum. Throw in how well the other mesh-headed drums react courtesy of the excellent ERT triggering technology and you have a winning package that is more than capable of convincing any acoustic drummer to embrace digital drumming. If you are thinking of purchasing electronic drums for live use, or wanted to own a digital set for home or studio purposes then the Jobeky Pro kit has to be very high on your list for consideration. Many people have written at great length about the look and feel of Colin’s drums and I can only agree; they are great. The whole issue of look and feel is probably one of the biggest sticking points when it comes to electronic drums. Often, the drums look like rubber Frisbees, the cymbals can look like slices of pizza and they feel like hitting, well...rubber Frisbees and pizza slices. This is not the case with Jobeky Drums. They look like drums and play like drums. Anybody who has used a real kit is going to feel right at home sitting behind Colin’s drums and anybody who’s always wanted a real kit, but could never justify it due to the noise, is not going to feel they’re making do with a poor relative to the real deal. You really get the best of both worlds – it looks like the real thing, but you can play it with headphones. Yes, it’s not entirely silent, but if you’re hitting something with a stick, there’s going to be some noise. But, it’s really as quiet as you might reasonably expect and I don’t think you’ll be annoying your neighbours, even if you’re in a semi or terrace. It’s possible to spend big money on electronic drum kits, but there’s just no need with Jobeky…though I’m sure Colin won’t stand in your way if you’ve got some cash burning a hole in your pocket! Some of the more expensive Roland kits dispense with the rubber pads and give you drums approaching the style of a real kit, but Jobeky drums are essentially real drums, with a mesh head and a trigger. Roland don’t do maple shells and, if they did, I’m sure your wallet would know all about it, but check out the different shell options from Jobeky and then check out the prices. Hard to beat. Colin’s kits are custom made, yet he manages to keep the cost very affordable and he can only be commended for it. As for the response from the trigger; well, it’s possible to hear a pin drop and that pin can sound like a piccolo snare or a rock tom…or whatever you happen to dial-in to the drum brain! The trigger is that sensitive. Colin himself is fantastic; the dictionary definition of good customer service. I can’t count the number of times I emailed him with queries, yet he always responded promptly and enthusiastically. He’s also very objective and will quite happily talk about other manufacturers and how best to integrate his product with theirs. This is great, as often many drummers have bits and pieces of different kit cobbled together. Colin obviously knows this. He knows drums; he knows drummers. The passion he has for his kits shines through, but, almost more importantly, the passion he has for drumming in general shines through. Colin has a history of drum making (he’s even written a book about it) and that hands-on, organic approach is clearly evident in the quality of his product. A top bloke. You also needn’t worry if things go wrong. There’s a three year warranty and, when I had a slight problem with a loose trigger, Colin sorted it promptly. I know after-sales care can often be a big worry when buying any item, but my experience was reassuring. In fact, I’m almost glad something went wrong, as I’ve been able to experience Jobeky’s after-sales care. Often the true measure of a company is determined by this aspect of their business and I have nothing but praise. All in all, top class. I’m sure it seems like I’ve been paid to write this review, but I’m a genuine customer with genuine comments. It’s great that a company such as Jobeky can compete against the corporate competition. And not just compete, but innovate too. You know, it’s nice to have a maple Jobeky kit and not one of the ‘big name’ kits. There’s something special about it and long may Colin continue to do what he does best. I could not be happier with my new Jobeky Customer Stealth Kit. All of the online reviews and feedback comments that I have read from your other customers are completely true. These really are outstanding electro-acoustic drums. By the high quality of your materials, workmanship and customer service, it is obvious that you take great pride in what you do. Your openness to listen to what customers want and your flair for innovation and design, keep me checking your website regularly for new product releases. I tend to be a person of brand loyalty so I absolutely will be purchasing more of your products in the future. I have yet to find any dead spots or triggering problems with my Jobeky Drums and they interface perfectly with my Roland module. Because of their superb build quality I would not hesitate to take these drums on the road. And thank you for packing them so well for overseas shipping. Just to say I got a stealth snare and tom for Christmas. Excellent! The only snag is that they are so much more powerful in triggering than my other pads. I am having to tone down all my settings! They are very good and so responsive. I intend to get all jobeky pads for my kit. I purchased this (10" Snare and Stand) from Colin through ebay and my initial impression upon unwrapping was 'wow' and then I just grinned at the tank-like build quality. I've honestly never seen an edrum so well built - and real drum shells too, so I've no fears about taking this out live. I set up the snare with my TD3 brain to augment the awful Alesis DM5 kit I'd purchased 6 months earlier. Originally I'd only planned to use the DM5 kit for programming beats into Reason, but after playing again for the first time in 12 years the bug has bitten me once more so I was looking for some serious equipment to use in a live situation, and after much research into the options available the Jobeky kits looked to be the best out there. Sure, Roland's mesh kits are well made and play quite naturally, but they're just so generic and soulless and with their silly price tags they're way beyond my humble budget (even second hand) - plus they're just too plastic and I'd guarantee a wooden shell would outlast them any day. A quick read of some of the feedback on the website later and I'd settled on the idea of building a Jobeky kit piece by piece. Colin was very approachable, helpful and responsive (even with his busy schedule), and understands the needs of drummers in a way that a faceless Japanese corporation never could. He's forward thinking and seems to have big plans for the future of his kits, so I'm holding out on the purchase of a new hi-hat to see the Jobeky developments when they're available. My way of thinking about edrum kit-building seems to mesh perfectly with the direction this company is going, including shifting away from purely rack-based systems to more versatile and quick to set up stand-based kits. So I'm also looking at the Jobeky toms to build on what I've currently got (Alesis, Ddrum, Dynacord) and as and when Colin has time to get back to working on multi-trigger cymbals I've no doubt they'll feature in my custom set-up too. The carbon fibre styling has to be one of the coolest looks out there in my opinion. In terms of playability, they feel so close to acoustic drums that unless you take the headphones off you really can't tell the difference. The Ddrum tom I have (bought recently) is the only mesh-head I've come across that even compares in sturdiness and response (high praise indeed if you've seen how expensive Ddrums are), and the only 'dead spot' on the Jobeky snare is right in the centre above the piezo. As you never actually play dead-centre it's never an issue at all and the alternative (as Ddrum opted for) are side-mounted piezos which work fine for toms, but just don't pick up those subtle ghost notes that a snare demands unless you're willing to trade-off for some double-triggering by setting the Sensitivity/Threshold/Mask-Time very tight. The rim trigger is a great plus, allowing those fantastic high-ping rim shots, with the added bonus of cross-stick work (if you have a Roland brain) making the whole package just feel 'right'. Buzz rolls are a breeze and being able to tune the tension to suit your playing tastes make for a comfortable experience for any drummer, with stick noise the lowest I've heard from any mesh head you'll not annoy the neighbours either. My only question has to be, why would anyone choose a Roland kit when they can have something this much better for a lot less money? It's like owning a Rolls Royce for the price of a Ford!. I've already recommended Jobeky to at least 3 other drummers, including one who was looking to trade up from his Roland rubber kit to a mesh kit but is now thinking of switching allegiances after hearing me raving about the snare. It's so good to see another name in the marketplace and even more of a surprise when the product is this good, so it'd be great to see Colin's hard work take his company from strength to strength.